I-Beam (⌶) is an operator that takes as its operand a numeric code and derives a function which isn’t really considered to be part of the APL language – for example: something which could be experimental, which might provide access to parts of the interpreter that should only be accessed with care, or may set up specific conditions within the interpreter to help in testing. 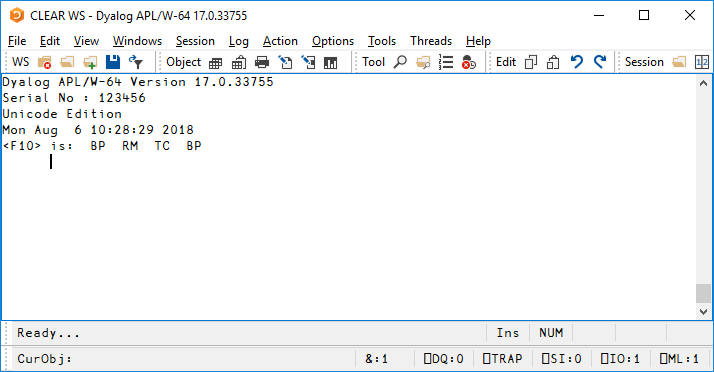 Principally, I-Beam functions exist for internal use within Dyalog but as of version 15.0 there are 55 I-Beam functions that are published and available for general use. How on earth are you supposed to remember all the different codes? To an extent, you are not. It is perhaps no bad thing that they are a little difficult to remember: I-Beam functions are experimental, liable to be changed or even removed and should be used with care. The codes appear to be somewhat random partly because they are somewhat random – mostly selected on the whim of the developer who implemented the function. However, some codes were chosen less randomly than others – quite a few are grouped so that I-Beams that provide related functionality appear consecutively or at least close together but the most interesting ones are “named” – or, at least, given a numeric code that is derived from a name or otherwise memorable value. So here are some of those unofficial mnemonics that may help you better remember them too. Do not use I-Beam functions directly in application code – always encapsulate their use in cover-functions that can quickly be modified to protect your application in the event that Dyalog should change the behaviour of, or withdraw, an I-Beam function. Do not use I-Beam functions that are not documented by Dyalog in the Language Reference or elsewhere – those designed to test the interpreter may have undesirable side effects. Do let Dyalog know if you find an I-Beam function particularly useful and/or have suggestions for its development. Some new features are initially implemented as I-Beam functions to allow such feedback to shape their final design. Given an initial state defined by a number of variables, a for-loop iterates through its argument array modifying the state. :For item :In items         ⍝ iterating through array "items"
In the above example the state comprises just three variables. In general, it may be arbitrarily complex, as can the interactions between its various components within the body of the loop. In this coding, the accumulating tuple arrives as the right argument (⍵) of the operand function, with the next “loop item” on the left (⍺). Notice how the items vector is reversed (⌽items) so that the items arrive in index-order in the right-to-left reduction. A B C D ... ← ⍳⍴T           ⍝ A B C D ... are tuple item "names"
There is some discussion about providing a primitive operator @ for at in Dyalog V16. Function kk illustrates naming tuple elements (S E K Q) at the start of the operand function. Function scc accesses tuple elements using named indices (C L X x S) and an at operator. We might define a “tuple” in APL as a vector in which we think of each item as having a name, rather than an index position. APLers sometimes talk about “inverted files”. In this sense, a “regular” file is a vector-of-tuples and an inverted file (or more recently: “column store”) is a tuple-of-vectors (or matrices). Here we are asking for the position and length of sequences of zero or more digits in an input document containing three numeric characters. Intuitively there is just one match of all three characters from the start of the sequence, but ⎕S reports an additional match of zero characters at the end. The short explanation is this: when there is a match in the input, the matching characters are “consumed” and searching continues from after them. In this example the first match consumes all three characters in the input, leaving it empty. Searching then resumes and, as the pattern matches the zero remaining characters, there is a second match. In this case we should not be surprised there is a match – the pattern explicitly allows it and, indeed, we would have coded the search pattern differently, perhaps as '\d+', if that was not wanted. It is therefore correct and consistent that the first example matches zero characters as well. My colleague was not yet convinced. In this case, he asked, why are there not an infinite number of matches at the end? It’s a good question. Zero-length matches have to be treated specially by the search engine to prevent exactly that, wherever they appear. 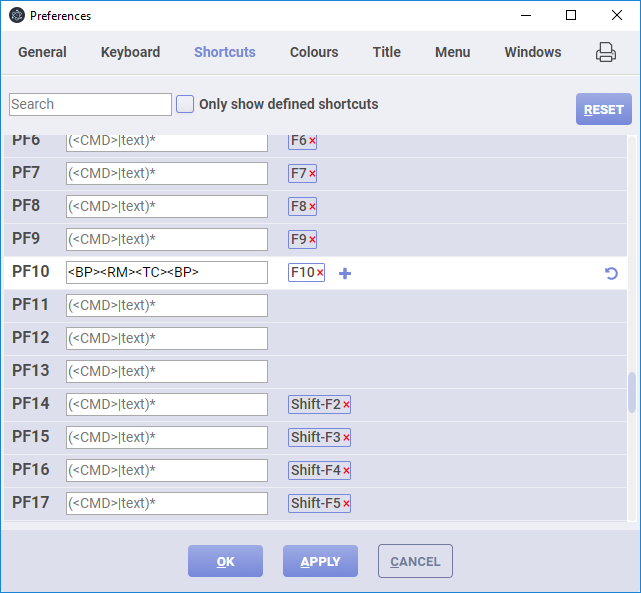 The rule used by the PCRE search engine, which Dyalog uses, is that any pattern that results in a zero-length match is prohibited from generating another zero-length match until more characters are consumed from the input. 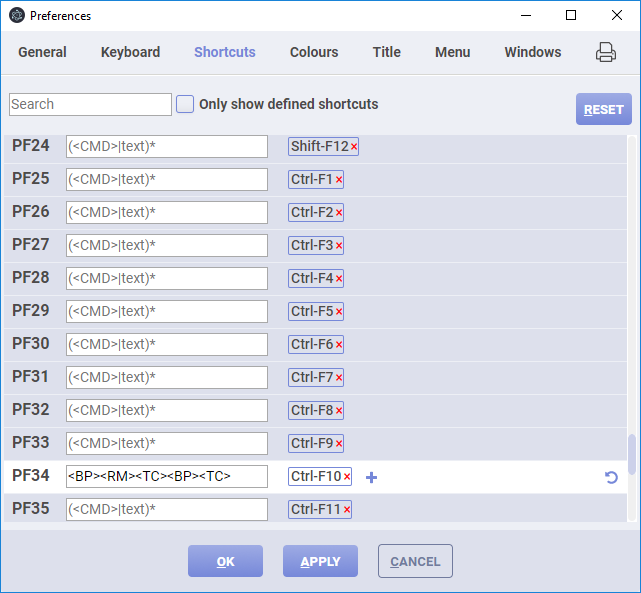 PCRE is widely used so this behaviour is commonplace, but other search engine implementations take a different view and simply consume a single character following a zero-length match to prevent the repetition. In this example the first match is of zero digits at the start of the input – that is, at offset zero and zero characters long. PCRE then resumes searching at offset zero but without allowing further zero-length matches. Consequently the first alternative pattern cannot match this time but the second can. The next match is therefore a single word character (the 'x'), also at the start of the input. The 'x' is consumed and searching resumes with '321' as the input where, as explained above, there are two further matches making four in total. Search engines which simply consume a character after a zero-length match would give a different result. After the same initial match of zero characters at the start of the input they would consume the 'x' and resume searching at '321' to give two further matches and a total of only three. So, patterns which allow zero-length matches appear to be counter-intuitive and the cause of incompatibilities with other search engines. Should we avoid '*' and other qualifiers which allow zero repetitions of a pattern? Of course not – used carefully they can be very effective. Firstly, a pattern which allows a sequence of zero characters within it can still be constructed so that the overall match can never have a length of zero. For example, 'colou?r' allows zero or one 'u' characters after the second 'o' so that it matches both the British English spelling 'colour' and the American English spelling 'color' – but it never results in a zero-length match, and should never surprise anyone in the way it works. text is read from the file without modification into a vector of character vectors, one line per element. There are many search and replace patterns that could be used to do this but this is the shortest, and it makes use of zero-length matches and replacements. Perhaps, after all, the title of this blog should have been “zero-length regex matches considered helpful“? ⎕R and ⎕S in the Dyalog Language Reference. Edsger W. Dijkstra wrote a paper in 1968 for Communications of the ACM entitled a “Case against the GO TO Statement” but it was published as a letter under the title “The goto statement considered harmful”. “Considered harmful” became a popular phrase in articles written in response to this and in other unrelated papers. There is an article about the phrase in Wikipedia. Dijkstra also wrote a 1975 paper in which he criticised a number of computer languages he had used. Of APL he said, “APL is a mistake, carried through to perfection. It is the language of the future for the programming techniques of the past: it creates a new generation of coding bums”. This author is not afraid to use goto statements or APL.